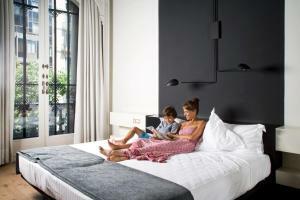 Situated on the central, tree-lined Rambla Catalunya, this boutique hotel is set in a stunning 19th-century palace. 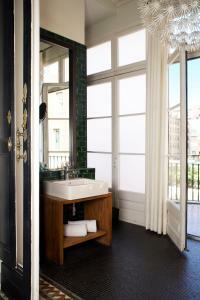 It maintains authentic features such as Baroque-style columns and colourful ceramic floors. 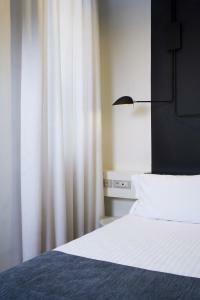 The chic rooms at the Praktik Rambla feature a minimalist design and come with air conditioning. 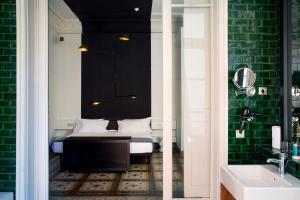 They also include free Wi-Fi and a private bathroom, decorated with striking green tiles. The hotel offers a terrace with comfortable sofas where guests can relax. From June to September, free fruit juice is served on the terrace from 16:00 to 20:00 every day. For reservations of more than 5 rooms or 7 nights, a prepayment equivalent to the first night's stay may be charged upon booking. 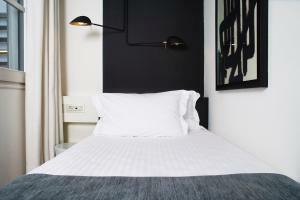 This room has a large single bed, heating, air conditioning, a safe and free WiFi. The private bathroom has a hairdryer and shower. 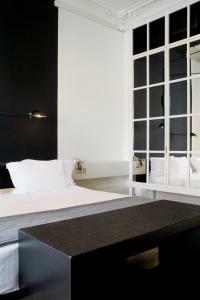 Rate: € 53.10 ... € 140.67; select dates below to get current rates. 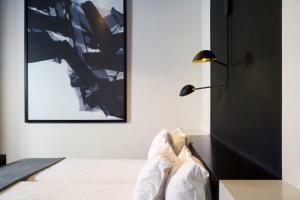 The chic rooms at the Praktik Rambla feature a minimalist design and come with air conditioning. 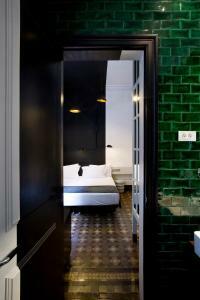 They also include free Wi-Fi and a private bathroom, decorated with striking green tiles. 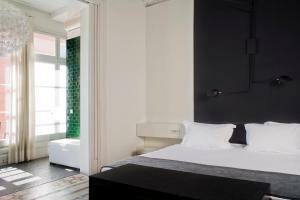 These rooms have large windows looking onto a typical Modernist light well of Barcelona’s Eixample district. 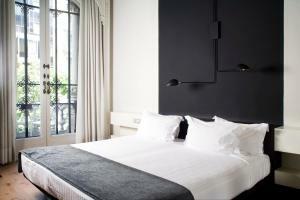 Rate: € 87.22 ... € 115.67; select dates below to get current rates.